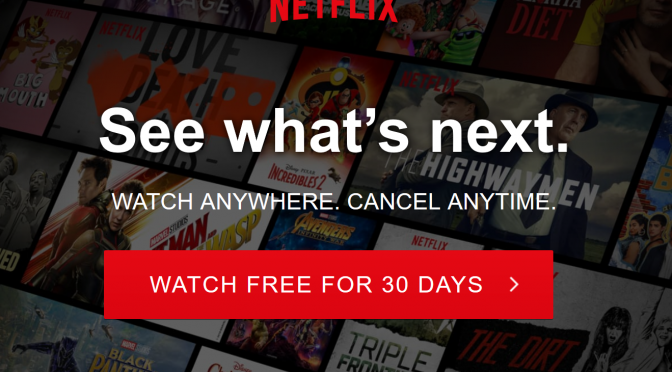 In case you haven’t seen the news today, users started noticing that Netflix no longer offers AirPlay compatibility for Apple devices, such as the Apple TV. 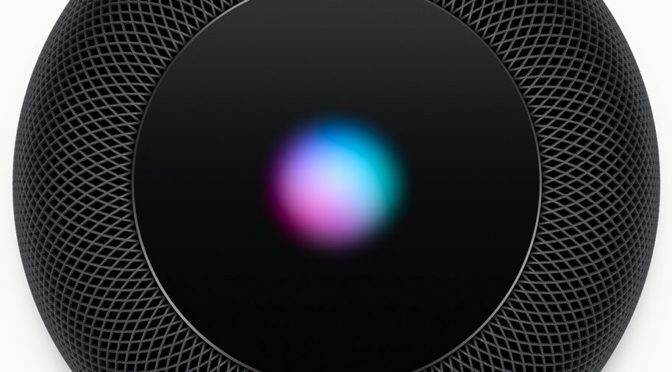 Later, the company confirmed that they removed this feature that has been a part of their app for the last five years because of a “technical limitation.” However, they were not forthcoming as to what that limitation was. 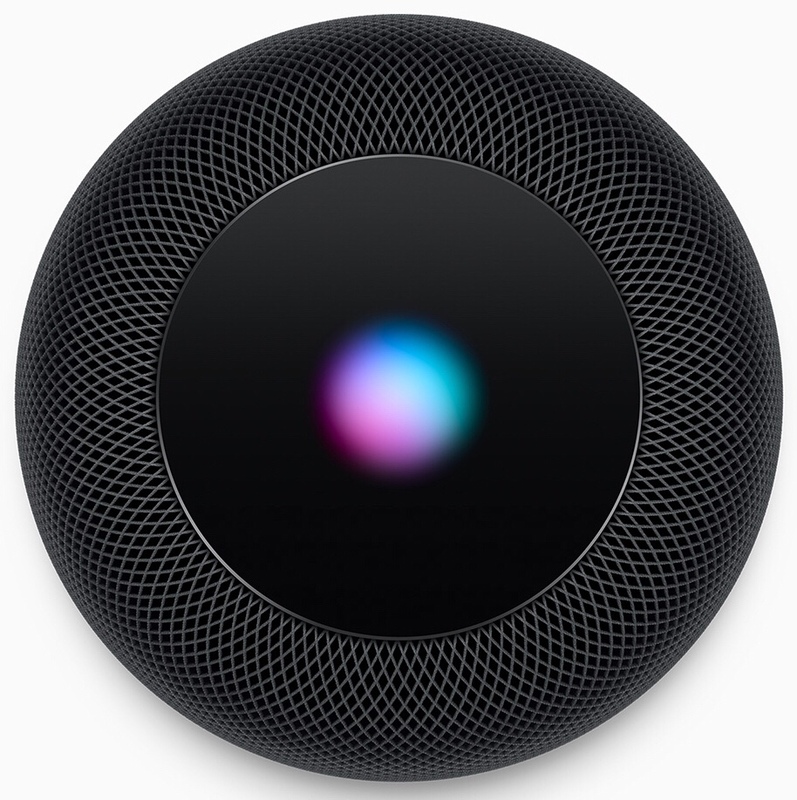 I was a little late getting started with my HomePod yesterday. I was in Boston for meetings all week, and my plane didn’t get in until 8:15 last night. By the time my family picked me up and we got home and I unpacked, it was getting late and I was beat. I did set it up and listened to a little bit of music, but my wife had to work today and needed to turn in, so I turned it off after a few minutes and got some sleep myself. Last night I noticed a friend’s mention on Google+ that the HBO Go app now supports AirPlay Multitasking. As in, you can be streaming your HBO content from your iPad to a big TV via Apple TV and at the same time switch away from the HBO Go app and do other things on the iPad. 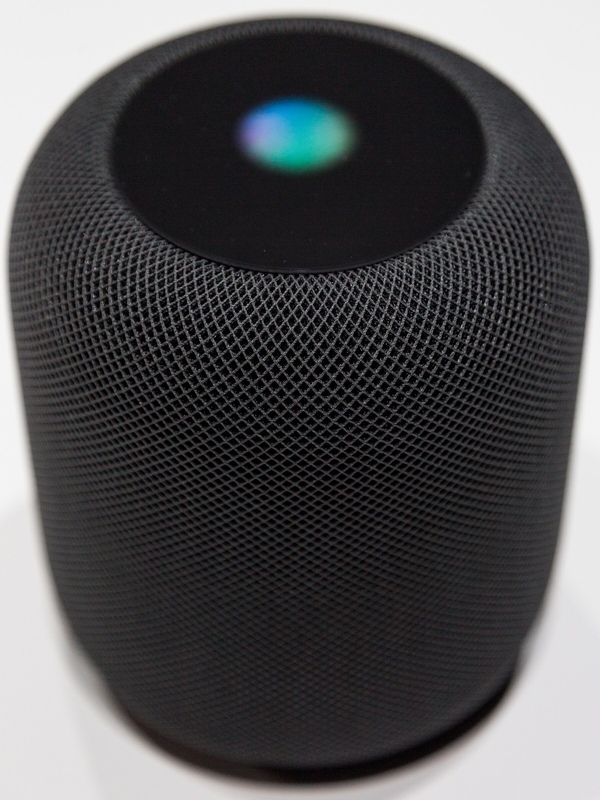 This could also be referred to as the ability for AirPlay, with full audio AND video, to work in the background. I’m not an HBO subscriber – but seeing this feature added to their app made me curious about how many iPad video apps support it. The multitasking ability is a huge plus for many of us who are often dividing our focus between two screens. I spend parts of many evenings watching something on TV while also playing an iPad game or checking social networks, or even taking review notes. It’s great to be able to do that while viewing (often better) content via AirPlay. I think all iPad video apps should add support for AirPlay Multitasking. What do you all think? Is this feature important to you? AirPlay Mirroring is one of the best new features in iOS 5. 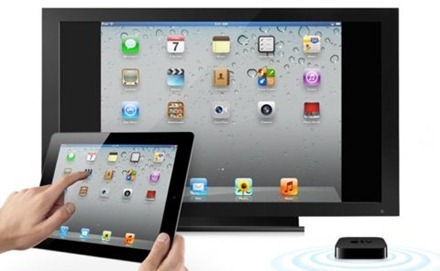 It allows you to mirror the screen of your iPad 2 wirelessly to a big HDTV screen if you have an Apple TV 2 – so everything you do on the iPad 2, in any app, is shown on the TV screen. It’s a superb feature for gaming on the iPad, and for presentations or just showing off a great new app or set of photos without having to be tethered close to the TV screen. 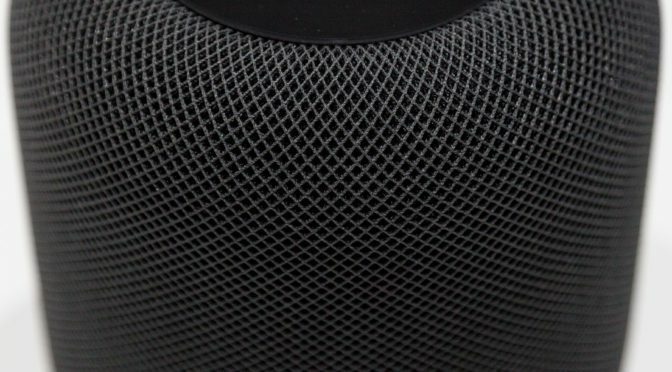 Rumors this week suggest that the feature may soon be added to OS X Lion – so Mac screens can be mirrored to a big TV as well, and we’’ll have AirPlay Mirroring from the Mac. Here’s the rumor that turns out to be true that I want to see: AirPlay Mirroring to the Mac. Real Racing 2 HD is set to be the first iPad game to support full screen wireless gaming over AirPlay. Exciting news from Firemint, the developers of Real Racing games for iPad, today. 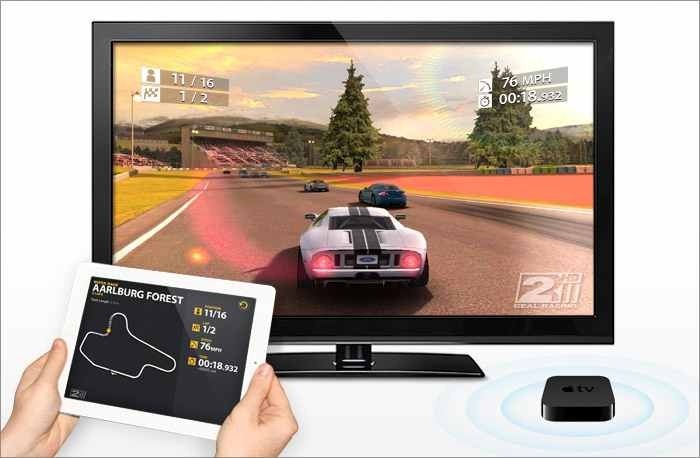 This isn’t just mirroring – you’ll be able to play Real Racing 2 HD on your big screen without a cable, while your iPad 2 displays racing telemetry in real-time. No black borders, no wires – just iOS racing at its finest. We see AirPlay as a real game-changer. It allows us to bring a fresh, never-before-seen level of freedom to Real Racing 2 HD. Combined with the precision steering and brilliant 3D visuals made possible by iPad 2′s phenomenal hardware, Real Racing 2 HD over AirPlay promises an experience you’ll have to play to believe. I’m already a huge fan of AirPlay video and HDMI mirroring is pretty cool too. Putting AirPlay and Mirroring together sounds awesome to me. Even as someone who is not a big gamer at all, the possibilities here sound tremendous. iOS 5 can’t come out soon enough. AirPlay is becoming more and more of a favorite iPad feature for me, as more and more iPad apps add support for it. 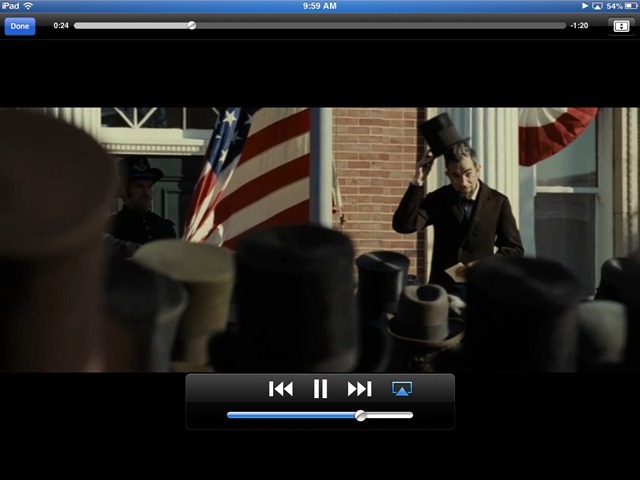 While audio over AirPlay can be quite nice at times, it’s video streaming that makes AirPlay much more exciting for me. I’ve used a good number of apps by now that support AirPlay video by now, but I’m always on the lookout for good apps that include this feature. This week the iPad App Store Featured area is highlighting a new featured page titled ‘Great AirPlay-Enabled Apps‘ – and that’s just the sort of list I’m looking for. The listing currently shows just over 30 iPad apps. 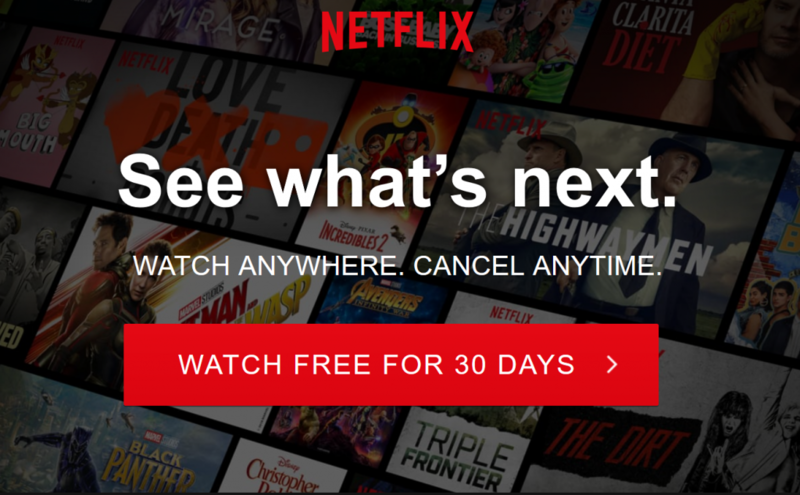 Some of the notable ones include: the TED app for the wonderful TED Talks, CNN App for iPad, IMDb Movies & TV, NPR for iPad, iMovie, PBS for iPad,and Fandango Movies. Sadly, the page doesn’t indicate which apps supprt just AirPlay audio and which include video support. That would be good to know. You can find the Great AirPlay-Enabled Apps listing by going to the Featured tab of the iPad App Store and the top featured area where the iPad app of the week and game of the week are shown. The new AirPlay section is one of the highlighted ones that rotate in the top area. My most used AirPlay (video) enabled app is the excellent Squrl videos app. What’s yours? 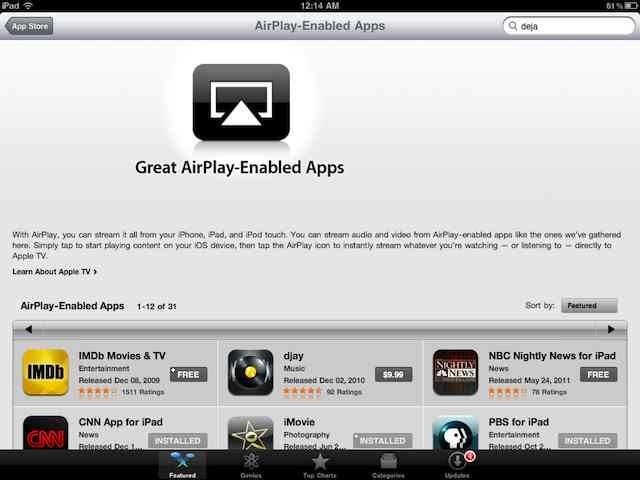 AirPlay – and AirPlay video in particular – is one of my favorite new iPad and iOS features. NASA’s iPad app – NASA App HD – is one of my favorite family / education apps on the iPad. 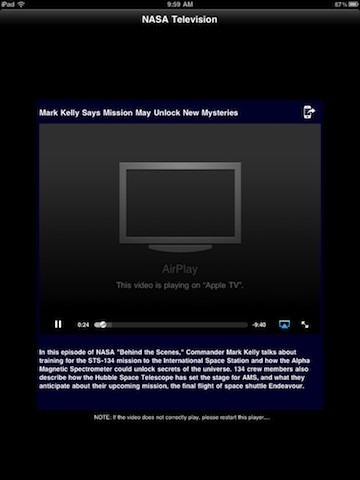 So I’m happy to see that NASA App HD now supports AirPlay video. Now we can check out watch some of the great NASA videos on the big HD screen via the iPad. I’m also very glad to see that the pace of apps adding AirPlay video support is starting to pick up a bit. Here’s an App Store link for NASA App HD; it’s a free app.